Join this free online course to learn about SAP Translation Hub, one-stop shop for multilingual UI text services. Learn how to prepare texts for translation in different development environments, translate the texts, and incorporate the translations in the development environments. Video subtitles for this course are available in English, French, German, and Spanish. In today’s world, successful applications must target a global audience. And this global audience expects software to speak its language. But developing UIs in multiple languages can be costly and complicated. With SAP Translation Hub, you can draw on SAP's translation experience across multiple products and languages to make the translation process more efficient. Starting in the development phase, SAP Translation Hub can propose suggestions for short texts. For the actual translation, you can use SAP Translation Hub to translate texts into more than 39 languages. In this course, you’ll learn how to prepare texts for translation in different development environments, translate the texts, and incorporate the translations in the development environments. Course assignment: You can take the course assignment at any time while the course is open. Course language: English, with video subtitles available in English, French, German, and Spanish. You can try out many of the steps that we show during the course by working through tutorials. To complete the tutorials, you need a trial account on SAP Cloud Platform. If you don’t already have a trial account, register for free at https://account.hanatrial.ondemand.com/. To access the tutorials, see Tutorials on SAP Help Portal. 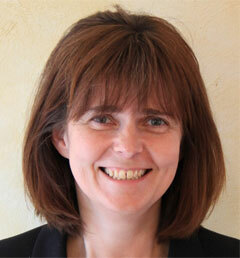 Beatrice Pasch is a member of the product management team for SAP Translation Hub. She joined SAP in 1996, and has held various positions in support, consulting, and development, specializing in R/3 SD, SAP Online Store, CRM, SRM, SAP Business ByDesign, mobile apps, and cloud technologies. Sebastian Koehler is a development architect for SAP Translation Hub, focusing on developing and designing services exposed on SAP Cloud Platform using the latest cloud technologies and SAP HANA. 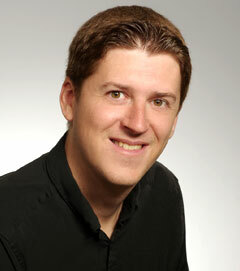 Sebastian joined SAP in 2005, and has held various positions in development for a number of products and areas. This course was held from Jan 23, 2018 through Feb 21, 2018. This course was rated with 4.44 stars in average from 552 votes. Ian Armstrong is a user assistance development architect in Globalization Services. In his current role, Ian is responsible for the user assistance content for SAP Translation Hub. Since joining SAP in 2000, Ian has worked in various translation and authoring roles for a wide range of SAP products. Marcus Danei is member of the product management team for SAP Translation Hub. He has over 20 years’ experience in the software and localization industries, and has worked in a number of areas within SAP since 1997, from introducing Arabic as a standard language, through defining and maintaining standards for release management and technology, to translation business partner management. Marcus is a regular speaker at SAP conferences and international localization industry events.